SERVING MARKETS Coffee, tea, confectionery, biscuits, pet food, organic products, chocolates, muesli, spices, pulverulent products such as industrial glue, chemicals, and cocoa powder, pharmaceuticals, etc. 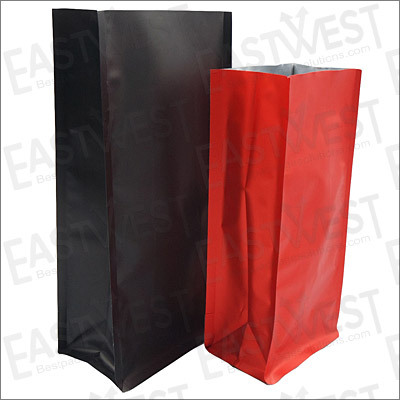 Materials Per customer’s packaging needs. Using materials such as metalized films, clear poly, kraft paper and foil laminations. 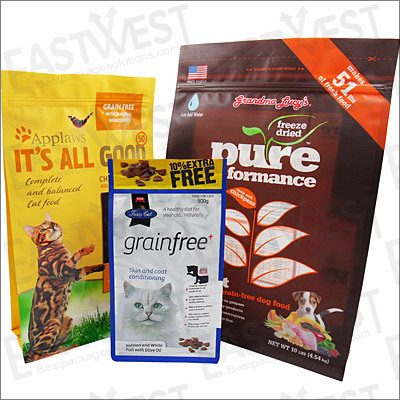 All the pouches are made of solvent free food grade packaging materials. Gravure printing allows 1-10 colors as per customer’s requirements on design. Using food-grade ink, which complies with Japan, EU and US requirements. As a quality flexible packaging manufacturer located in Shanghai, China, we specialize in offering a wide variety of flexible packaging solutions with diversified custom capabilities and featured stock inventory available to meet the needs of worldwide customers from various industries such as health foods, general foods (snacks, coffee, tea, cookies, candies, nuts, etc. ), pet foods, electronics, chemical (laundry detergent, cosmetics, etc.) and agriculture (fruits, vegetables, etc.). 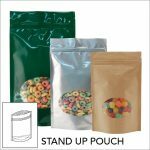 We supply a full line of pouch styles including the stand up pouch, flat pouch, side gusseted pouch, flat bottom pouch (box pouch) and roll stocks with featured products of paper kraft pouch, spout pouch, poly foil pouch, etc. available for your choice. 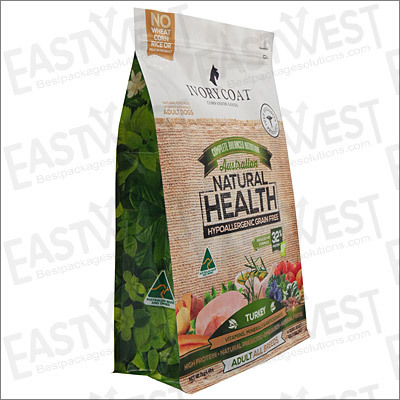 Our sophisticated printing capabilities backed up with FDA approved food-grade materials will allow your graphics to appear exceptionally vibrant and your food packaging bags trust-worthily safe. Contact us today. Our team will work one-on-one with you to ensure your pre-formed pouches are fully customized for your packaging needs.